During the painting process, clearly defined spots and areas have to be left unvarnished for a large number of attachment parts. 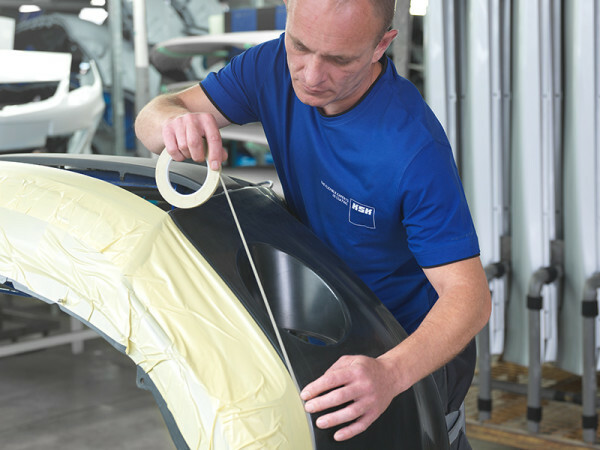 Those areas are often used later as bonding areas to attach the relevant component to the car body. Manual masking and other preparations have been part of our staff’s special skill set since the early days of KSK. These skills are also used to apply two and multi-colour coats which seamlessly border each other to a component.